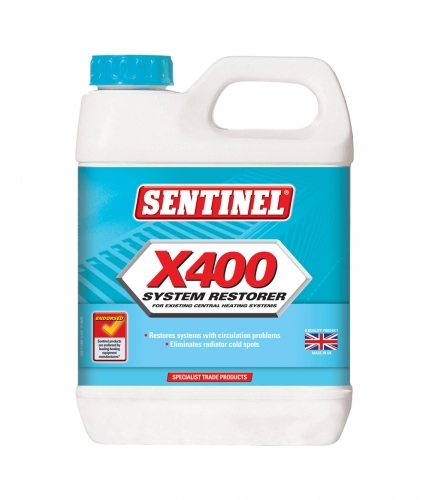 Sentinel X400 System Restorer Sludge Remover at PlumbNation is a ruthlessly efficient way to eliminate the build-up of magnetite sludge, X400 is the quick and easy way to eliminate cold spots and restore full heat emission. Sentinel X400 is a non-acid formulation which can be used in all types of direct heating systems including those containing aluminium components. Restores circulation to part blocked radiators. Can be used in all systems. Prepares existing systems for the installation of new pumps.